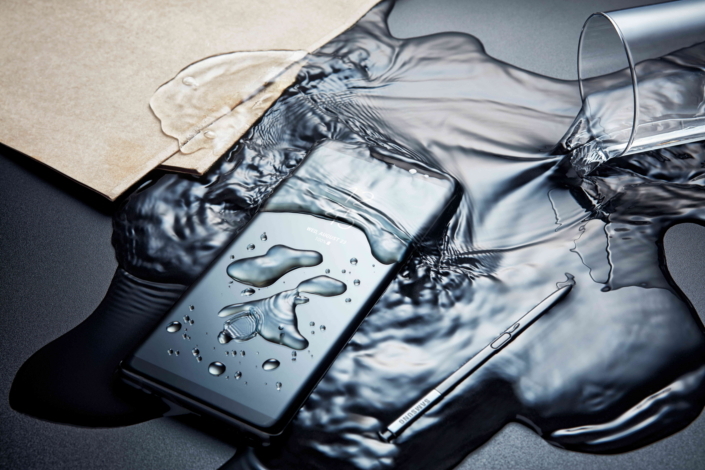 Last year, the Note7 was launched globally by Samsung on August 2. It was on sale a few weeks after that, and soon reports of the smartphone catching fire emerged. Being a flagship device, such news had a damaging effect on the phone's sales and the brand value of Samsung as well. A hastily organized mass recall followed, and the initial batch was entirely replaced. But the issue didn't die away. Samsung recalled even the second batch and offered replacements, but such efforts went in vain as more number of mishaps were reported. Eventually, they had to call off the sales and recall all the units ever sold globally. This happened before the Note7 was officially launched in India. The much-hyped flagship never reached the Indian shores, officially. All these added to the hype and excitement surrounding the launch of Note8 in India, which took place in Delhi today. Like the global launch, the Indian launch also began with a Thank You message for the Note lovers, the ones who trusted the brand to come up with a Galaxy Note device after last year's fiasco. 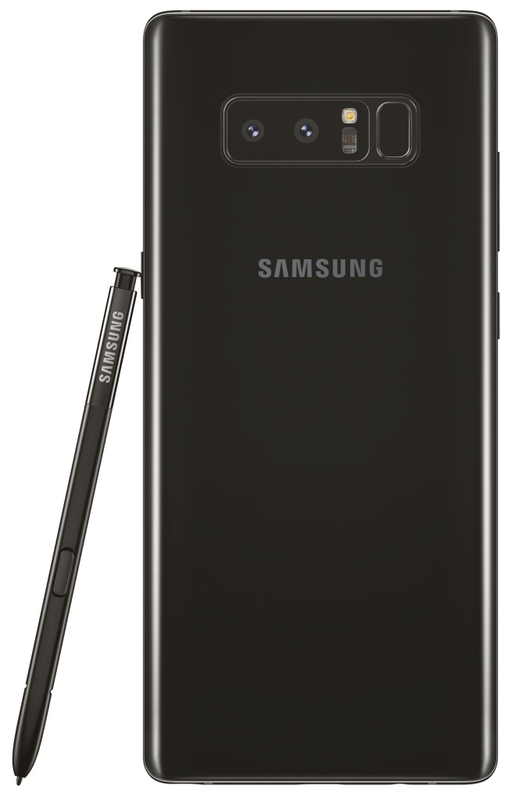 “Galaxy Note8 with its stunning Infinity Display, enhanced S Pen and a true Dual Camera, is designed for those who want to do bigger things. At Samsung, we listen to our consumers and bring in meaningful innovations that help make their lives better. With this launch, Samsung will further consolidate its leadership in the premium smartphone segment in India,” said Mr. Asim Warsi, Senior Vice President, Mobile Business, Samsung India. 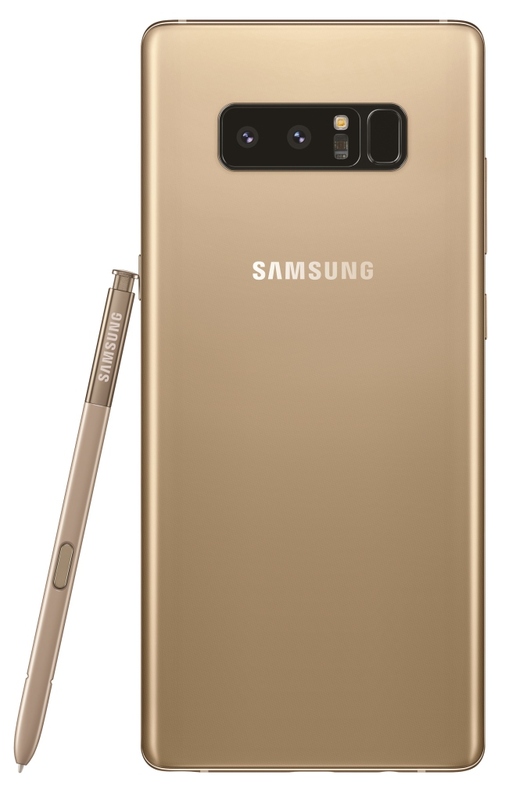 Similar to the trend Samsung has been following, the Note8 looks and feels like the Galaxy S8+. Covered in glass on the front and back, it melts over to the aluminium frame on the sides to give it a symmetrical look. 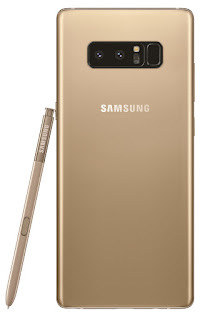 IP68 certification for the phone as well as the S-Pen means that users can write on the screen in rains or in showers. It is protected by Corning Gorilla Glass 5 as on both the sides. Measuring 162.5 x 74.8 x 8.6 mm and weighing a hefty 195 g, the Note8 might feel difficult for one-handed users. The display up front is a Super AMOLED one, measuring 6.3 inches at a resolution of 2960 x 1440 (QHD+). Other features like Always On Display and Off Screen Memo are also available. The Note8 features dual rear cameras with both having a 12 MP sensor. The primary sensor has a 26 mm focal length and wide f/1.7 aperture with dual pixel and PDAF. The secondary sensor is a telephoto lens with 52 mm focal length and f/2.4 aperture. 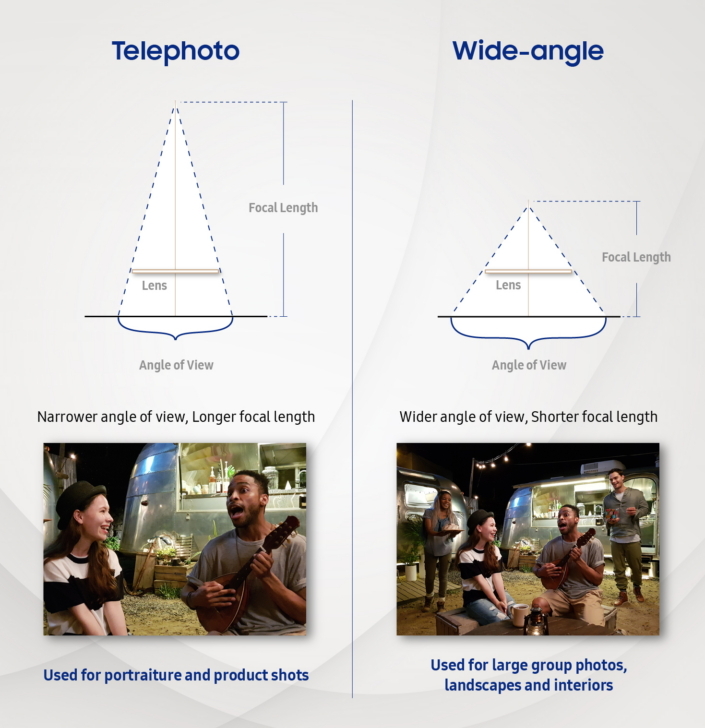 The primary 12 MP camera has a large 1.4 um pixel size while secondary camera has 1 um pixel size. Both the sensors have Optical Image Stabilization, which is a first in smartphones. The front camera is an 8 MP one with f/1.7 aperture and 1.22um pixel size. The Live Focus feature allows users to control the amount of blur before and after taking the picture. Dual Capture, which takes a normal wide angle pic at the same time as the portrait picture helps users to decide whichever image they require. Video recording at resolutions up to 4K at 30 fps is supported for the rear cameras. Slow motion 240 fps video can be captured at a resolution of 720p. For the front camera, video up to 1440p is supported. 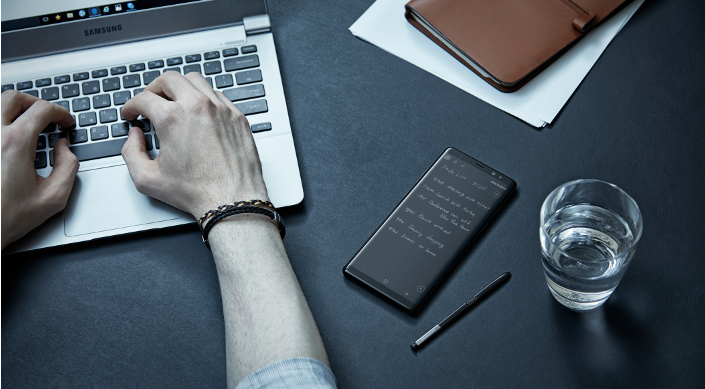 The Galaxy Note8 packs in an octa-core 10 nm Exynos 8895 and Mali-G71 MP20 in India. Only one variant - 64 GB internal memory with 6 GB LPDDR4 RAM - will be available in the country. The strorage can be expanded via the hybrid slot up to 256 GB. It will be running on Samsung Experience UI on top of Android 7.1 Nougat, and will be one of the first Samsung devices to get Android Oreo update. The USP of a Galaxy Note device continues to get improved each year, and it's not different this time. The pressure sensitivity has been increased from what it was on the Note 5, while features like translating sentences (70+ languages supported) by hovering the S-Pen over it are also present. 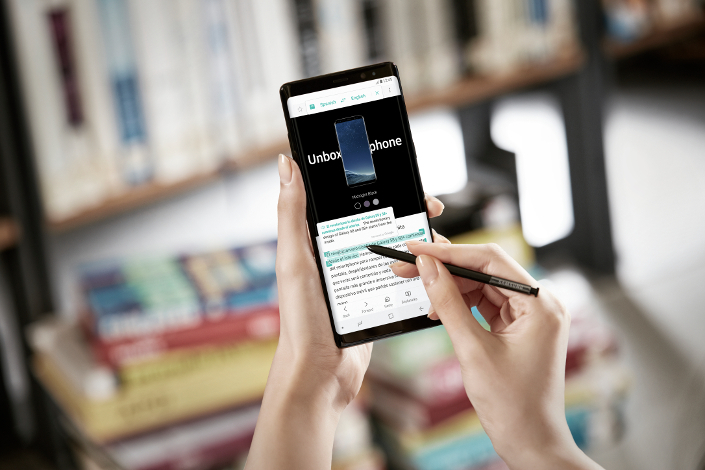 The S-Pen can also be used to create animated message which can be shared as gifs to spice up your conversations, convert currencies and measuring units as well. Samsung's own personal assistant Bixby was launched with the S8/S8+ earlier this year. This is a true smartphone assistant with ability to decode complex multi level commands and perform it without requiring the user to touch the screen even once. Samsung India said that Bixby can recognize commands in Indian accent as well, eliminating the need for users to talk in a robotic manner. Samsung announced that Bixby voice will be available on S8 and S8+ in India soon. Samsung's mobile payment mode, called Samsung Pay, was introduced in the country recently. The best thing about Samsung Pay is it works with existing card swipe machines as well. Other payment solutions require NFC to work, but Samsung flagships make use of MST to imitate the swiping of card, thus making it compatible with all the existing machines. A smaller 3300 mAh battery backs up the device with support for Quick Charge 2 and wireless charging as well as fast wireless charging. Earphones tuned by AKG, worth $99 in retail, will be available in the box itself. Connectivity: Dual Band Wi-Fi 802.11b/g/n/ac, Bluetooth 5, ANT+, NFC, MST, GPS, GLONASS, Galileo, BeiDou, USB Type-C. Sensors: Fingerprint reader, Barometer, Accelerometer, Gyroscope, Heart Rate, Iris scanner, pressure sensor, Hall sensor, Geomagnetic sensor, Proximity, Light sensor. The Note8 is priced at Rs. 67,900 in India. It will be available in two colors - Midnight Black and Maple Gold. The smartphone will be available in Indian markets and online exclusively via Samsung Shop and Amazon India from 21 September, pre-bookings are already available. Launch Offers include a Rs. 4000 cashback if you purchase it using HDFC credit cards. A one-time screen replacement offer and a free wireless charger are also available under an Introductory Offer. Additional 448 GB of data can be availed from Jio over a period of 8 months. 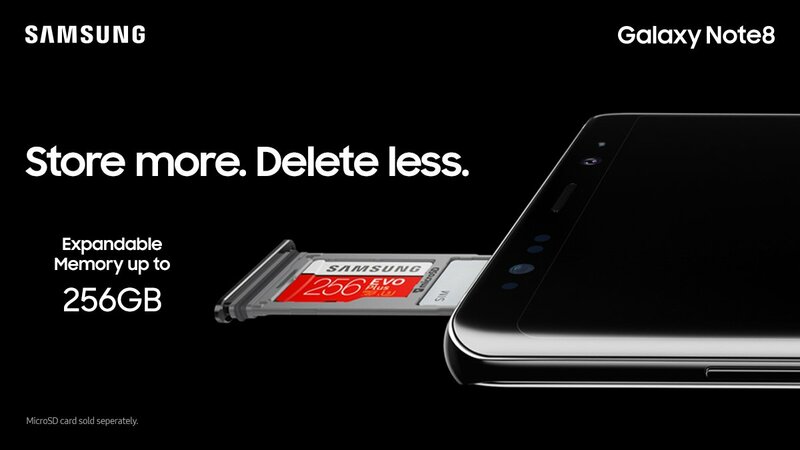 A new exchange program called Samsung Upgrade also lets you trade in older devices and gain a discount on Note8.